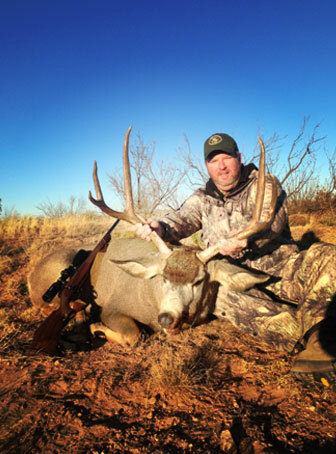 Here at the Big Alamocitos we have one goal in mind...to produce Quality Trophy Mule Deer unmatched anywhere. We run a very limited number of hunters each year and our goal is to consistently harvest Trophy Mule Deer that are 180+. In order to do that and put our money where our mouth is, we've made a vital decision within our management team to only harvest management Bucks in the 2013 and 2014 season. Do we have numbers of Trophy Quality Deer? You bet we do! But in order to consistently produce a limited number of True "GIANTS" each year, we've made the decision as good stewards of wildlife to refrain from harvesting any Trophy animals this upcoming season. Our intense management program, combined with the large amount of quality protein we feed year around, is setting the stage for Greatness! We understand that patience is a virtue. And by being patient, our clients will get to reap the rewards. Make NO mistake...a lot of our "Management" deer would be considered trophies in many other parts of the country. Just take a look at some of the management bucks harvested...Wow! This is surely one of the best "Management" hunts offered in the industry. Our guiding and management staff are all die hard hunters who each have upwards to 30 years experience chasing Giant Mule Deer. We have a very healthy population of deer on this 64,000 acre hunting Oasis. It's not uncommon to view upwards to 100+ deer in a single day. This is a very large piece of real estate with the Lodge being located 17 miles from the farthest corner. So we will be packing a lunch and not stopping until we find him! Most of the land is accessible with pickup, tower truck, or Ranger. Light to medium difficulty, but we are out West so your boots work the best. We want to kill a good deer but don't want to kill you in the process, so we will tailor the hunt to your needs. Your overall experience from the accommodations, the great food, the incredible hunt, your trophy and most of all, the relationships created here at the Big Alamocitos is why you'll come as a hunter and leave as a friend...every time. 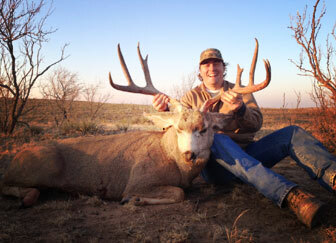 Mule Deer hunts are $3900 all inclusive 1x1, and each hunter can harvest 1 deer. Hunters will be advised by their guide on which deer qualify as "management deer". Our management deer are harvested based on age and antler genetics. You are responsible for your transportation to Amarillo Texas and a Texas hunting license is required. Book your hunt by calling Scott at 406-529-3930 or fill out the form on the Contact Page and we will contact you promptly. We welcome both archery and rifle hunters alike. Hunts are conducted during the 1st two weeks in December. All hunts are 3 days, 4 nights. 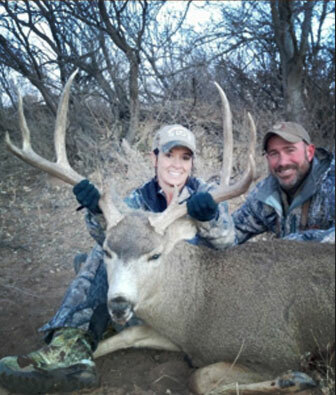 The Alamocitos Ranch is going to harvest 2 mature whitetail bucks in the 2014 season. We have not been hunting the whitetails over the last several years in order to manage our quality and increase our numbers. We feel it’s time to start harvesting a few good deer, and the quality and numbers support it. Hunters should expect to be targeting bucks in the 135-150 range, with 160+ being a possibility. This will be a one-on-one guided hunt to include all transportation to and from your tower stand, cleaning and handling of all game, and all food and accommodations. A Texas hunting license is required. This 3 day hunt will be for 1 Whitetail Buck and 1 Whitetail Doe for only $4000! Book your hunt by calling Scott at 406-529-3930 or fill out the form on the Contact Page and we will contact you promptly.